The Faculty values its alumni and works closely with the University of Alberta Alumni Association to provide benefits and services. University of Alberta Alumni Association The University of Alberta Alumni Association began in 1915. It was organized by a small group of graduates and now includes more than 200,000 graduates and more than 50 active branches around the world. As a U of A alumnus, you can benefit from a range of university and business services, discounts and more such as Online Community, On-campus benefits, Great Insurance Rates and the Affinity Credit Card Program. 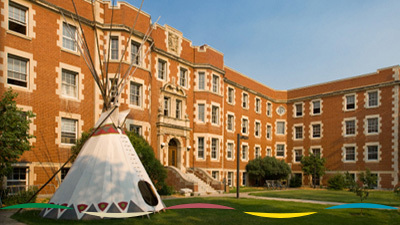 Tell us about a Native Studies grad who’s doing great things in their community! Like past winner, and Native Studies alumna, Dorothy Thunder, we want to recognize (and celebrate!) everyday heroes for making our world a better place. "Understanding treaty rights, traditional land-use, and the duty to consult should be of interest and a requirement to any Canadian interested in working in the field of sustainable development and environmental conservation." "I would like to extend a sincere thanks to the Faculty of Native Studies for the opportunities extended to myself as an Inuit student, who completed both a BA (NS) and MA (NS) within a time frame of four years. 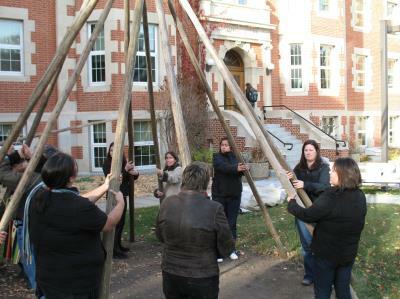 This Faculty allowed me to not only mobilize my own Indigenous Research Methodology but provided the space and encouragement to work within an Indigenous framework. The Professors and support staff gave to myself, a place that I now call, Home." "The Certificate of Aboriginal Governance and Partnership is a great opportunity for students in the Faculty of Native studies to learn the forms of governance created and utilized by Indigenous peoples, and how they're distinguished from (historically) imposed governments. The negotiations methods and governance projects, give students the opportunity to engage in the real-life application of what they've learned. The certificate has given me the advantage of a larger variety of job opportunities, whereby my certificate has improved my knowledge base in areas of Aboriginal initiatives. This certificate program will be another tool for Indigenous students to build stronger communities and create leadership opportunities."